The beloved author of the modern classic book "All I Really Need to Know I Learned in Kindergarten" now tackles life's most mysterious, joyous and most confusing topic -- love. 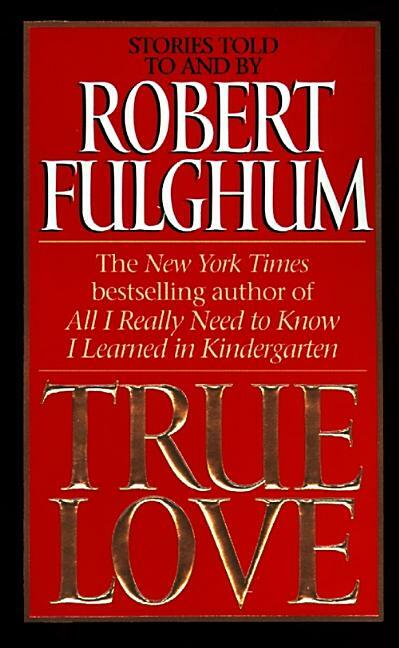 An irresistible collection of real-life love stories, mixed with Robert Fulghum's own quirky insights and unmistakable homespun observations, "True Love" tells the many unpredictable tales of love. Here it is: the intriguing story of the woman who marries her mother's high school flame; a man who learns that "old love" and new pajamas are a dangerous mix; a man who miraculously reunites with his first love (after 20 years) on an LA freeway; the touching tale of a husband's love for his wife after her disabling stroke; a 14-year-old's philosophy of looking for love on the boardwalk; the brief moment of connection of a smile shared at a stoplight; and so many more.